JNN 27 Apr 2015 Baghdad : Lieutenant General Abdul Amir al Shammari a senior commander in the Iraqi army told Sky his forces have killed “more than 250 terrorists in the past few days” and re-taken swathes of territory in Anbar province, where the extremist group launched a counter-offensive in recent weeks. ISIS captured large parts of the capital Ramadi last week and still controls some parts of the province. Militants have launched suicide attacks targeting government buildings and checkpoints and are responding fiercely to Iraqi attacks with heavy artillery. A military official said thousands of police officers and residents who fled Ramadi are now returning back to their homes as more reinforcements arrive, according to the Washington Post. Staff Maj. Gen. Mohammed Khalaf Saeed said about 2,500 police officers had now returned to Ramadi as the fear engulfing the area subsided, Independent reports. Over 100,000 displaced citizens fled ISIS’ advance to try and find safety within the last 10 days. In the other hand Special forces on the frontline in the city of al Karmah, in Anbar province, have amassed heavy artillery and deployed hundreds of troops. 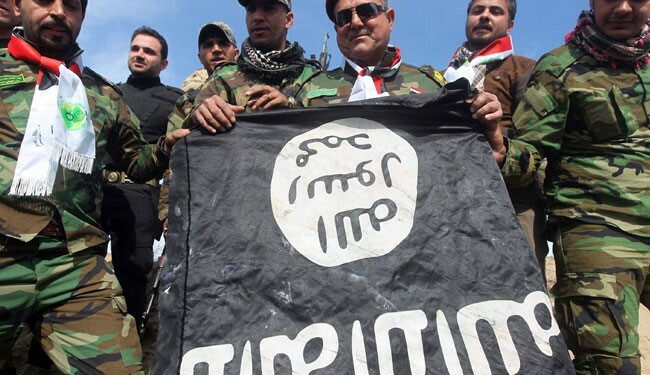 According to Rudaw an armed anti-ISIS group operating in the extremist-held city of Mosul has claimed the assassination of the military attache of Abu Bakr al-Baghdadi, the self-proclaimed caliph of the so-called Islamic State. “A special force of the Free Officers Movement gunned down Wisan Kanan, Baghdadi’s military assistant, in the Mosul’s neighborhood of Al Faisaliah,” Mohammad Bahaj, a member of the Free Officers Movement, told the Al-hadath news on Thursday. An Iraqi official says security forces have recaptured a key bridge from ISIS group militants in Ramadi, the capital of western Anbar. Anbar police Col. Mahdi Abbas says the forces recaptured the al-Houz bridge on the Euphrates river on Friday, after fierce clashes with IS militants in the western section of Ramadi. Abbas says the al-Houz bridge was controlled by ISIS for several months and served as the main route supply route for the insurgents. In recent days Iraqi soldiers and police have been able to secure the center of Ramadi and push the militants back from Whole of the city. This entry was posted in Middle East and tagged Anbar, Anbar Province, Free Officers Movement, heavy artillery, Iraqi, Iraqi Forces, IS terrorist, ISIL, ISIS, Mohammed Khalaf Saeed, Police Officers, Ramadi. Bookmark the permalink.